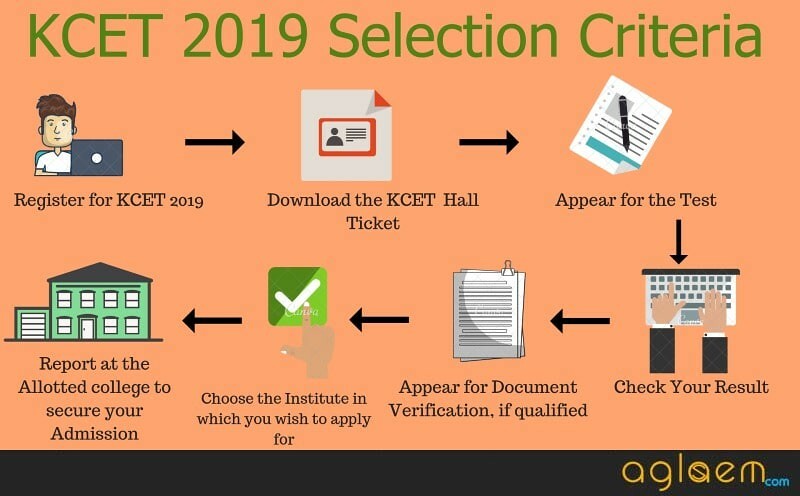 KCET 2019 – Admit Card for KCET 2019 has been issued. Candidates can download it from the link provided on this page. 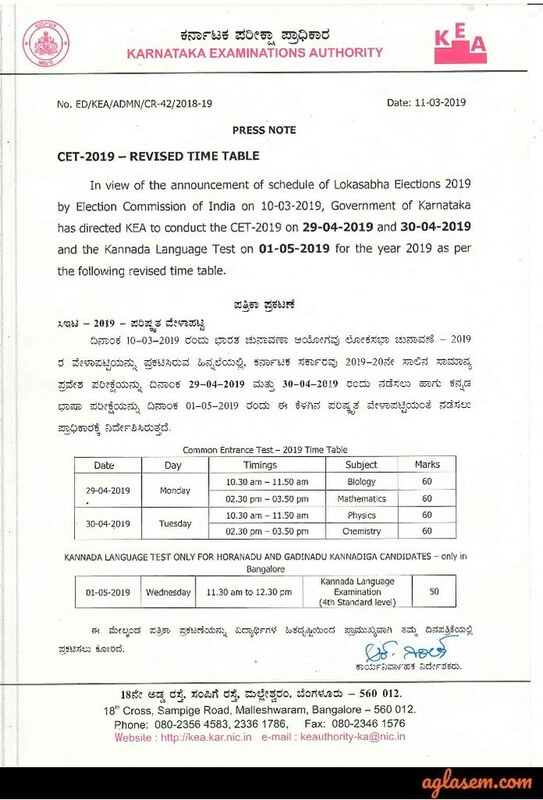 Furthermore, the exam date for KCET 2019 has been revised due to the Loksabha Elections. The entrance exam which was earlier scheduled to be conducted on April 23-25, 2019 is now going to be conducted on April 29, 30 and May 01, 2019. Karnataka Common Entrance Test (KCET) is a state level examination for admission in engineering, technology, farm science, and pharmacy courses in Government / University / Private Aided / Private Un‐Aided Professional Educational Institutions in the state. 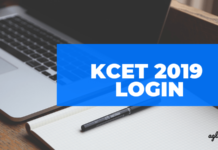 Know more about KCET 2019 from this page. Latest: KCET 2019 Admit Card has been issued. Click here to download the same. The registration for Karnataka KCET 2019 is started online at its website. The entire online application form filling process is to be completed in two phases – In the first phase, candidates have to fill the details and can edit the data any number of times and also can take the draft printouts before selecting the declaration. In the second phase, the candidates have to select the declaration after confirming themselves that there are no changes to be further done. The candidates should note that they can edit/ modify details in the KCET 2019 Application Form as many times as they wish for before commencing the second phase. Once the declaration is done, the candidates are not allowed to change/ edit/ delete/ add any information in the KCET 2019 Online Application. Candidates have to pay the application fee for KCET 2019 through online mode only. Aspirants can pay the fee through e-challan listed banks such as e-Post office, State Bank of India, Corporation Bank and ICICI Bank. It is important the students must check the eligibility criteria for the course for which they wish to apply for before registering for the entrance exam. Below we have given the eligibility for each and every course. The candidates should proceed to register only after checking the eligibility for KCET 2019. Click Here to check the eligibility clauses to claim for the government seats. Should have secured an aggregate of 45% marks in Physics and Mathematics along with Chemistry / Bio-Technology / Biology / Electronics / Computer. The candidate should have passed in 2nd PUC / 12th Std with Physics, Chemistry and Biology or Physics, Chemistry and Mathematics. Who Cannot Apply for KCET 2019? The candidates who have passed the qualifying examination other than the universities listed by KEA. Candidates who have passed from the Karnataka State Open University are also not eligible to apply for KCET 2019. Those whose appears for the qualifying examination in the year 2019 and whose result is awaited are eligible to apply but if he/she does not pass the qualifying examination with the required pass percentage of marks, they shall not be granted admission. 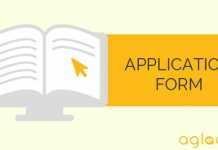 Note: A candidate who is appearing in the qualifying examination, i.e., 2nd PUC / 12th Standard in 2019 and whose result is awaited can apply and appear for KCET 2019. For every correct answer, candidates are going to be awarded 01 mark. KEA has clarified that the question papers of the Karnataka Common Entrance Test is mostly based on the First and Second PUC syllabi prescribed by the Department of Pre-University Education of Karnataka State. To help the candidates in their preparation for KCET, the exam conducting body has provided the study material and video lectures. The candidates can take help of these and start their preparation for the entrance exam. Candidates can download KCET 2019 Admit Card via visiting the official website. KCET 2019 Admit Card is going to be made available in the online mode only. No printed admit card is going to be sent to the candidates individually through post. To download it, enter the details such as Application Number, Date of Birth. Kcet 2019 Admit Card is going to have some personal details of the candidates as well as basic information about the exam such as date, timings, the address of the test center, etc. It is to be noted that candidates must carry KCET 2019 Admit Card to the examination centre positively as it is going to act as an entry ticket at that time. Also, make sure a valid id proof is carried along with the KCET 2019 Admit Card. The Karnataka Examination Authority is conducting the KCET 2019 entrance in 54 places spread over Karnataka State. The candidates who have passed or are appearing for Qualifying Examination within Karnataka will be allotted the test center within the district in which the candidate has studied 2nd PUC or 12th standard. Once KEA conducts the entrance exam successfully at all the test centers, it publishes the answer key for Karnataka CET on the notified date. 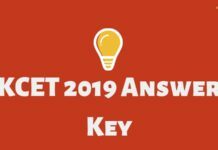 The answer key for KCET 2019 would be published online at the official website of KEA in a pdf format. The official answer key which is released by the exam conducting body is generally available a week or two after the exam is over. However, there are some Coaching Institutes which also publishes the answer key. This unofficial answer key is generally released an hour or two after the exam is over. Candidates can also file their objections against the provisional answer key, addressing to the “Executive Director, Karnataka Examinations Authority, Bangalore” on or before the prescribed date. The objection has to be sent either in person or only through SPEED POST or email: [email protected] Along with the objection, candidates also have to attach the supporting documents and justifications against the targated question. The cut off is the minimum marks which a candidate should obtain in order to pass the test. Only those candidates who obtain marks equal to or greater than the cut off marks will be declared as “Qualified”. The exam conducting releases the course-wise cut off marks for KCET after the declaration of the result. Hence the cut off marks for KCET 2019 will be available after the declaration of its result. However, till the time the cut off for KCET 2019 is available, the candidates can refer to the previous year’s cut off to get an idea of the marks required to qualify the test. The minimum passing marks for all Horanadu and Gadinadu Kannadiga candidates shall be 12 out of 50 marks in Kannada Language Examination. Only those candidates who obtain the marks equal to or greater than the cut off marks are considered for assignment of ranks and to become eligible for allotment of seats in KCET 2019. Candidates appearing for the KCET 2019 would be able to access the result by log onto the official website. Aspirants need to enter their registration number to view the score card. In the KCET score card, candidates can see the total marks obtained in the concerned examination. Along with the result, KEA also releases the list of the candidates whose results have been withheld and the reasons for withholding the results. The governing authority allow the candidates to submit their objection against the result sheet, addressed to “Executive Director, Karnataka Examinations Authority, Bangalore”. Candidates can submit the objection within three days from the date of publication of KCET 2019 Result. 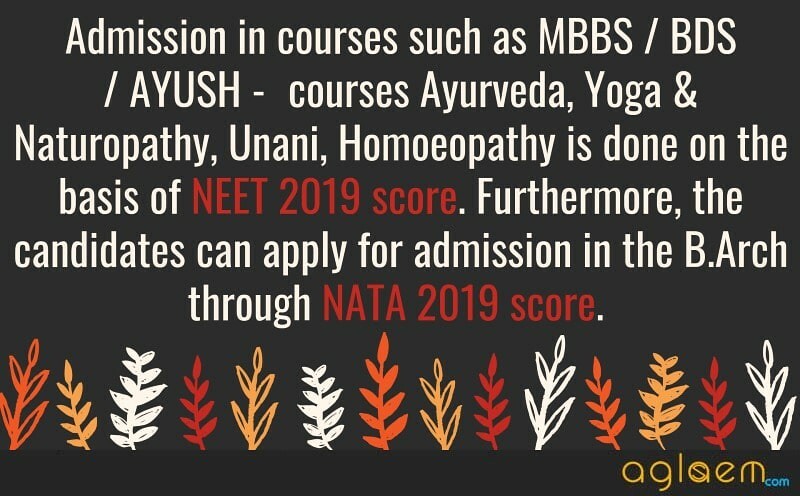 The discrepancies to be submitted can be changes in the Qualifying Exam marks, version code, NEET / NATA scores etc., except the marks obtained in the Common Entrance Test. In case of the Agriculturist Quota, the ranking of the candidates is assigned on the basis of 25% marks each, secured in concerned combinations in II year PUC (PCMB) and CET and 50% marks secured in the Practical Test. In case of B.V.Sc & AH merit is prepared on the basis of 50% of Marks secured in CET (Physics, Chemistry and Biology) and 50% of marks scored in the practical test. In case of the candidates whose result are with-held for 2nd PUC or 12 standard, the rank is assigned after the submission of the required documents on the specified date and time. NOTE: Candidates must also note that KCET 2019 Merit List is not going to be made available in the KEA Premises. After the KCET 2019 Result is announced, the candidates who would be declared as qualified are eligible to appear for the document verification process. The shortlisted candidates have to report for the document verification at the specified schedule and venue prescribed by the conducting body. The Verification of documents is to be done at once for all the disciplines for which the candidate is eligible. However, if a candidate is found to be eligible for more than one discipline, then the documents would be verified for all the disciplines at once. Only upon verification of documents and issue of verification slip, a candidate would be allowed to enter the options. KEA also publishes the list which consists of the details of the candidates who have successfully completed this step. Those who have successfully verified their documents and received the verification slip can proceed to submit choice(s) of the Institute for which they wish to apply for. The candidate may enter the course/college of his choice from among the seats available which would be displayed at the time of entry of options i.e., college wise, category wise, course wise, and discipline-wise. KEA conducts three rounds of the Seat Allotment. The allotment of seat takes place on the basis of merit and priority of options submitted by the candidate. If a candidate is satisfied with the seat allotted to them, then he/she can download the Challan / allotted details from the KEA Website. Furthermore, the candidates have to download the admission order and report to the college. If not satisfied, the candidates need to choose the option to appear for the subsequent round of the Seat Allotment. KEA will reveal the exact number of seats after the announcement of result. We have mentioned the last year’s seat matrix for the reference of the candidates. As soon as the conducting body announces the latest seat matrix, we will update it on this page accordingly. Candidates suffer through many problems and queries while the admission process, for the sake of candidates we have provided here frequently asked questions candidates ask at the time of admission process. You can access the FAQ’s from the link provided here below. Click here for FAQ’s for KCET 2019. If you have any confusion about the KCET 2019, then let us know in the comment section below.